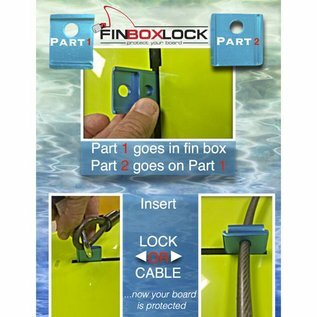 Lock up any board with a center fin box in seconds! Simply insert the Fin Box Lock into the center fin box and secure with most pad locks and a cable. Who doesn't already have a pad lock? Got lots of boards? Simply add a Fin Box Lock to each board and lock up your whole quiver.